Even with fine doilies and silverware, “glucose-averse” roaches shun jelly. Their normal (“wild-type”) relatives cluster around the jelly, as you’d expect. About 30 years ago, many cockroach haters began to use baited traps that blended high-fructose corn syrup with insecticide. But within seven or eight years, the traps started losing their clout. Upon a closer look, scientists found that the roaches were turning up their noses at glucose, a primary component in the cheap corn syrup that was used to attract roaches to the poisonous bait. This week, Schal publishes an explanation for the change: a mutation in German cockroaches that alters taste-sensitive nerve cells. 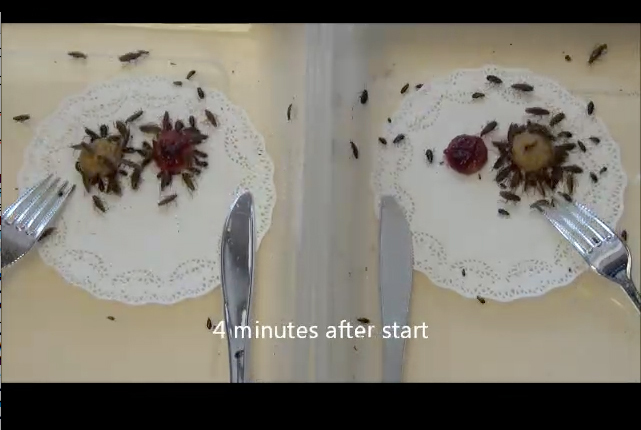 The mutation causes these cells to perceive glucose as bitter, not sweet, so the mutated roaches, no dummies, disdain bait containing glucose. The head of a male German cockroach shows a straggle of sensory hairs. Glucose aversion was studied only in the head, where taste hairs are concentrated. 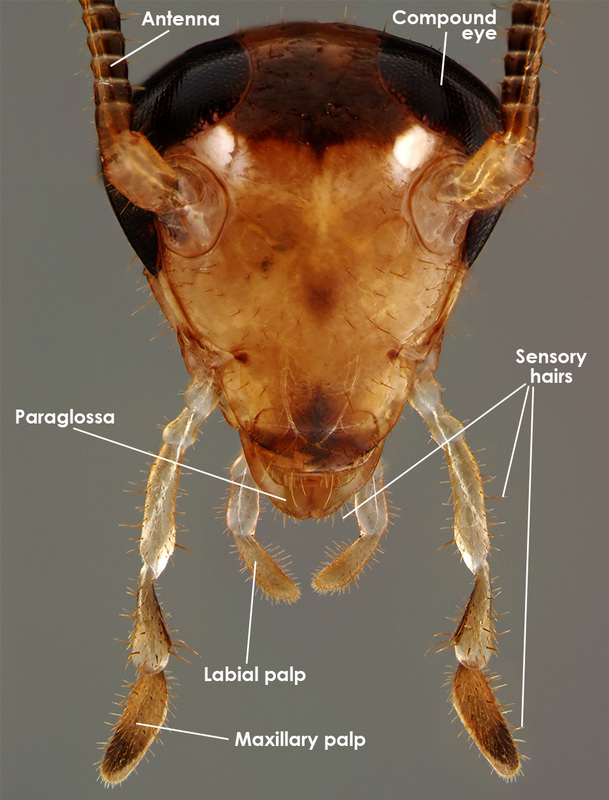 Other sensory hairs decorate the thorax, wings and legs. The German cockroach Blattella germanica is small and ubiquitous in buildings. “It does not have a natural world,” Schal says. “You can’t find them outside human structures,” such as barns, restaurants, schools, and especially homes. 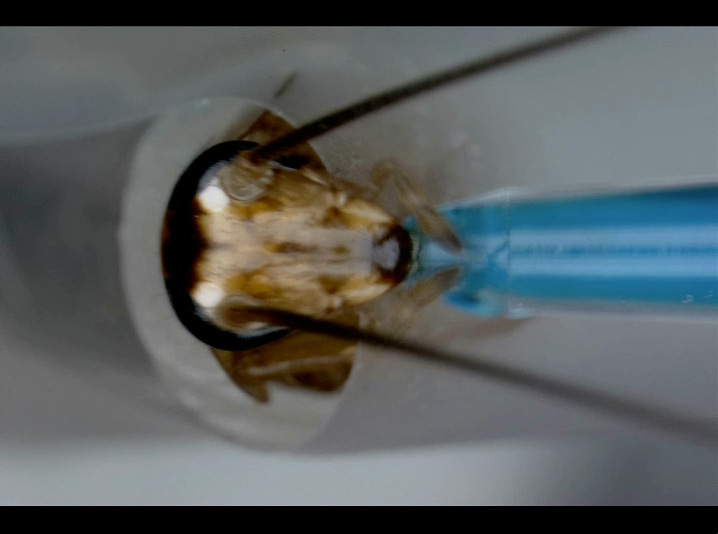 To determine why these roaches shun glucose, Schal, Jules Silverman and Ayako Wada-Katsumata made electrical measurements of sensory hairs near the mouth, which contain neural cells variously attuned to sugar, bitter, water or salt. “We put an electrode over the top of the hair and recorded the neural responses,” says Schal. Because each type of nerve cell gives a typical impulse, it was possible to distinguish the firing of sugar cells. This mutated German cockroach gets a glob of glucose. Too bad sugar tastes bitter to it: Is this the original Mr. Yuk? Among glucose-averse roaches, Schal found, a mutation placed a glucose receptor on the bitter neuron, giving sugar the bitter taste that’s obvious in the movie. Loathing glucose aids survival, but only when the sugar comes with a dollop of insecticide, Schal says. Otherwise, “this cockroach would be at a huge selective disadvantage, as they would not have access to the calorie-rich diet” that cockroaches crave. Cockroaches: just disgusting, or dangerous too?? Our innate disgust of cockroaches is more than creepy-crawlies paranoia; these arthropods can harm us via allergies and infectious disease. 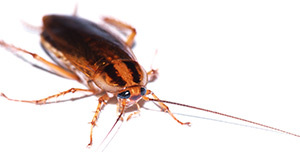 * 44 percent of living room floors have cockroach allergens. Data: Environmental Health Perspectives, 114(4), 522. And these mutations are making some baits obsolete, Goodman adds. All cockroach images not attributed to scientist are from Shutterstock. Got gears? Let's leap, says the leafhopper!